We pride ourselves on delivering outstanding customer service, in a stunning setting which will make your special day perfect. “For us Brooksby Hall was the perfect setting for our wedding day; a fantastic venue with beautiful grounds and buildings that provided the perfect backdrop for our wedding photos. It even has a Church within the grounds where we had a fantastic service provided by the local vicar. Having everything in one place took any stress from travelling out of the day and allowed us and our guests to relax. The Old Hall looked stunning when set out for our wedding breakfast and the food was excellent. The Management and events staff were extremely professional, organised and efficient, we couldn’t have asked for better service. “We were married at St Michael & All Angels, Brooksby and held our reception at Brooksby Hall. It is a most idyllic location and was the perfect venue for our special day. We were delighted with the service from the outset. As the church and venue are in the same location it was very convenient for our guests, especially for those people travelling from further afield and who perhaps had never been to Leicestershire. “We held our civil partnership ceremony and celebrations at Brooksby Hall. It was a wonderful place to have our wedding – all the staff were incredibly helpful and made the whole process of arranging the day as stress-free as you could possibly expect, even when we were emailing constantly with a thousand questions! They thought of everything and made sure everything went smoothly. The grounds at Brooksby were a perfect place to have our drinks reception, and spend some time outside on a lovely summer’s evening… and all the guests commented how great it was. The house is ideal too – the rooms all work really well for a wedding, and are great surroundings for the ceremony and the wedding breakfast. And the food that was served up for that wedding breakfast was just amazing – a really good team in the kitchen! 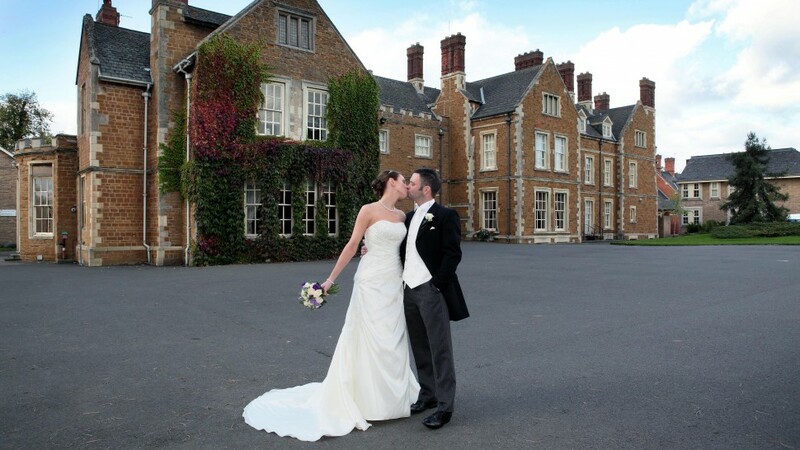 “From the first time we looked around Brooksby Hall, we both knew it was the perfect place to get married. The Hall is fantastic, with loads of rooms and space to accommodate any type of wedding. The grounds are perfect for the photos, whatever the weather, and the food, well it just speaks for itself. Everyone at our wedding said how fantastic it was!